When Red rides with Chum. The view is always the same. Nonetheless, Red’s happy for the pull up and back to Danbury. BTW, it was an awesome day for a ride. Cool northerly breeze, dry air. Wow, and it’s August. Chum and Red, as I said went to Danbury through Pine Hall and up 772 after a failed experiment on West Road. FYI, too many dogs on West Rd. It was a lovely ride up north. After a nice sit in the rocking chair at the General Store, Chum and Red headed back via the same route. 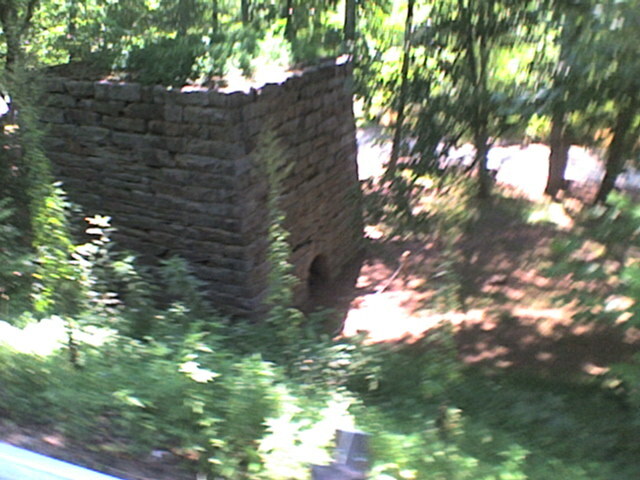 Red even got a picture of the Morotock Iron Furnace. Granted this is a site of interest for a very small and particular group of history enthusiasts. Red and Chum enjoyed the rippin’ tailwind back. 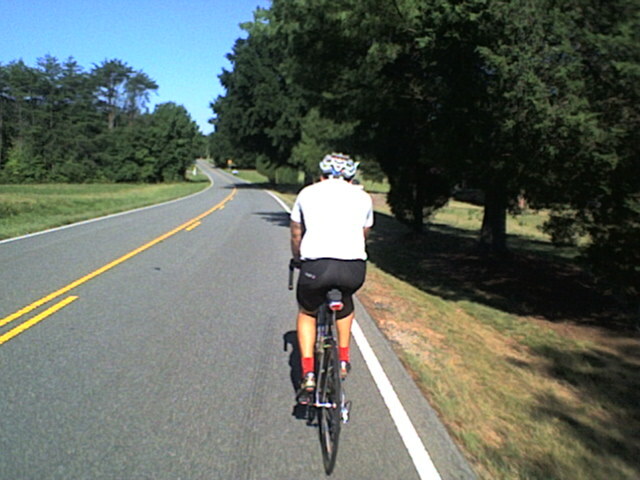 They even increased their average speed climbing back up Piney Grove.